2014 was a great year for Korean drama! 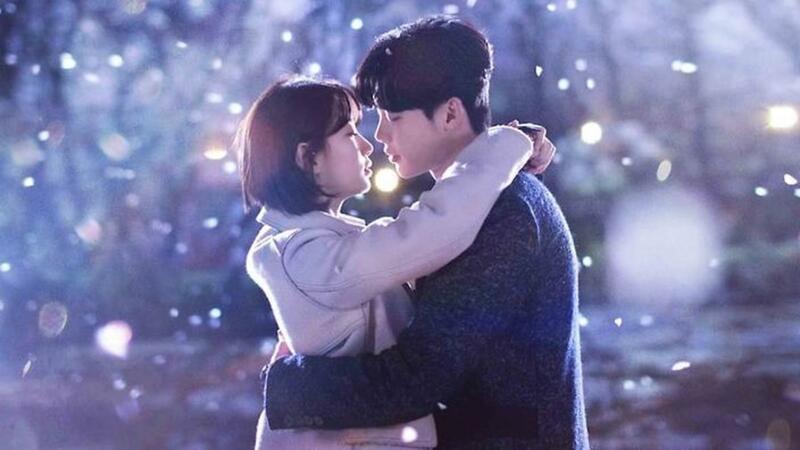 In this article, you'll find the top eight dramas as voted by viewers on the site koreandrama.org, as well as all of the other dramas that aired in 2014 (or at least most of them) listed alphabetically. Which one was your favorite? Leave it in the comments! Age of Feeling is a 2014 Korean drama set in Shanghai during the 1930s with themes that include ambition, patriotism, friendship, and love. The story follows the life of a skilled fighter named Shin Jung Tae (Kim Hyun Joong) who protects his countrymen from the Japanese invasion. You Who Came from the Stars is a romantic comedy and drama about an alien man (Kim Soo Hyun) who landed on earth 400 years ago during the 17th-century Joseon Dynasty and falls in love with a modern-day actress (Jeon Ji Hyun) even though he holds a cynical view of human beings. 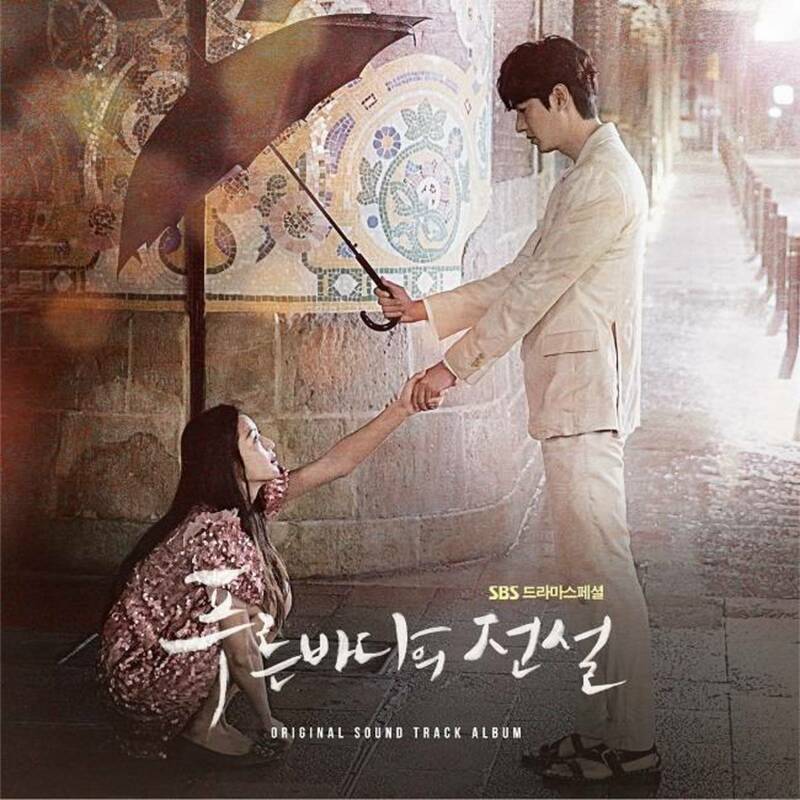 This drama portrays the story of an heiress, Ah Mo Ne (Lee Da Hae) who is pushed out of her sheltered princess-like life to do all she can to protect her hotel alongside hotel manager Cha Jae Wan (Lee Dong Wook). Though he appears cold and distant, they eventually develop a very close and romantic relationship. Three Days was originally supposed to air in 2013, but it was delayed until 2014. 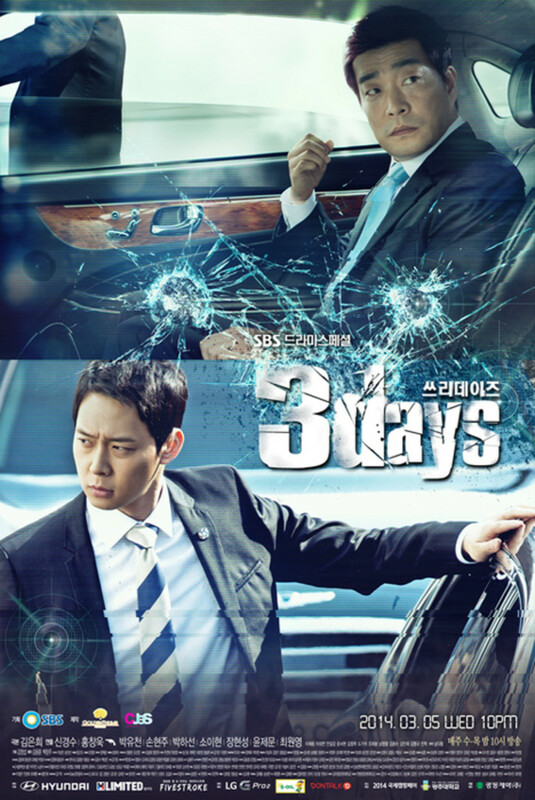 This kdrama is about the president's bodyguard (Yoochun from JYJ) who loses track of the president after hearing three gunshots and tries to find him. Jang Jae Yul (Jo In Sung) is a famous mystery novelist and popular radio DJ who suffers from obsessive-compulsive disorder (OCD). When he meets Ji Hae Soo (Gong Hyo Jin), a first-year psychiatry fellow at the hospital where he is being treated, they help each other work through their deep-rooted emotional issues. But how will Jo Dong Min (Sung Dong Il), Hae Soo’s senior colleague and first love, and Lee Pul Ip (Yoon Jin Yi), Jae Yul’s girlfriend, feel about their budding friendship? This is a remake of the hit 2008 Taiwanese drama Fated to Love You. Lee Gun (Jang Hyuk) is the president of a family company that produces shampoos and soaps. He is deeply in love with a ballerina. Meanwhile, Kim Mi Young (Jang Na Ra) works as a complacent secretary in a law firm. Her nickname is “Post-it” (sticky note). Lee Gun and Kim Mi Young’s paths cross and fate and a pair of misfit conspirators cause them to unintentionally spend the night together, after which she gets pregnant . . .
Yoon Soo Wan (Koo Hye Sun) and Park Dong Joo (Lee Sang Yoon) were each other’s first loves, but they were forced to separate due to painful family circumstances. Soo Wan, who had been blind, eventually undergoes an eye transplant surgery that restores her sight. Twelve years later, they meet again in the hospital where Soo Wan is an emergency rescue worker and Dong Joo is a surgeon. However, Soo Wan is engaged to a neurosurgeon and knowing this, Park Dong Joo decides to keep quiet and does not reveal his identity to Soo Wan, who cannot recognize him. Will she realize that Doctor Dylan Park is actually her first love, Park Dong Joo? Emergency Couple is a romantic comedy about a couple (Song Ji Hyo and Choi Jin Hyuk) who married during medical school but divorced soon afterwards due to their clashing personalities. They are reunited years later as interns at a hospital. Will love strike again for the two? Abiding Love Dandelion is a heart-warming family drama about two sisters’ love and friendship. Based in a flour mill company during the '60s and '70s. All of the Kimchi is a drama about a woman who goes into the kimchi business after she was betrayed by her husband, devoting her life to kimchi in order to survive the turbulence of betrayal and frustration. Apgujeong Midnight Sun is a drama about four families in the entertainment industry in South Korea. An Angel's Revenge depicts the story of a woman who is training to become a nun but falls off track when her older sister dies. Filled with anger, she swears to get her revenge on the man who is responsible for her sister's death. In the process of seeking revenge, the almost-nun serves as the catalyst that leads an immature wealthy man to change his ways. The leads for An Angel's Revenge are Yoon So Yi as Lee Sun Yoo and Kwon Se In as Seo Ji Suk. 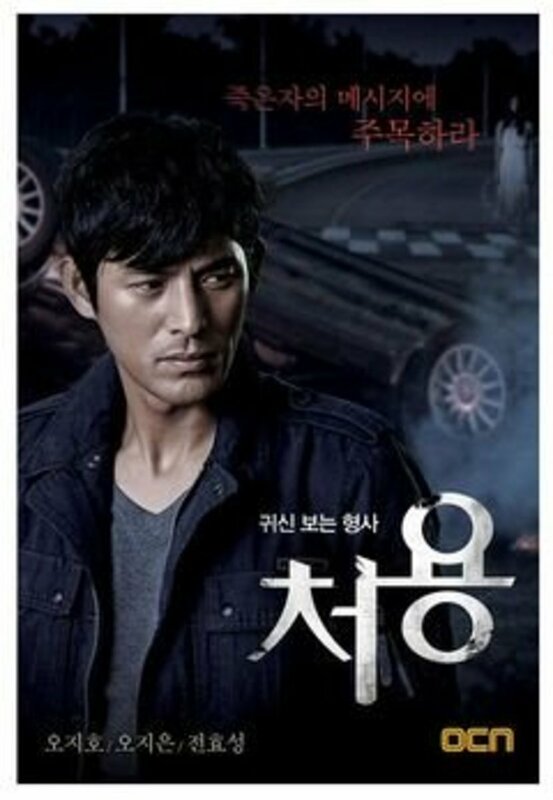 To combat the rise of violent crimes, the police chief asks suspended detective Oh Goo Tak (Kim Sang Joong) to form a team of criminals, which includes the gangster Park Woong Chul (Ma Dong Suk), the extraordinarily intelligent serial killer Lee Jung Moon (Park Hae Jin), and the contract killer Jung Tae Soo (Jo Dong Hyuk). Police inspector Yoo Mi Young (Kang Ye Won) also joins the team and tries to get these men to work together as a team. The orphan Kim Ji Hyuk (Kang Ji Hwan) has a tough life. When he meets Dal Sook (Song Ok Sook) who runs a small restaurant at a traditional market, Kim Ji Hyuk takes her on as a mother figure and settles down at the traditional market, working hard to open up his own store. When he finds out he is actually the son of a family that owns Korea’s top company Hyunsung, he realizes the sordid story behind his abandonment and vows to take revenge upon the people at the Hyunsung company. Han Tae Hee (Joo Sang Wook) is the heir of a large company. He's suffering from broken heart syndrome due to a psychological shock. To get the woman he loves back, he completely transforms an unattractive and overweight Sa Geum Ran (Ha Jae Sook) into beautiful Sara (Han Ye Seul). In the process, Han Tae Hee falls in love with Sara. Blue Bird has an interesting plot involving a psychotherapist whose clients face a wide variety of problems, including unsteady jobs, poor housing, school violence, suicide, scandals, and more real-life problems. It seemed like a lot to squeeze into three episodes but I gave it a try since I had also been wary about the four-episode kdrama Twenty Years Old which I ended up LOVING. Bride of the Century is about a wealthy family who has been under a curse that causes the first bride of the eldest son to die. Can't Take It Anymore is about what happens to a family when the oldest generation decides to divorce. 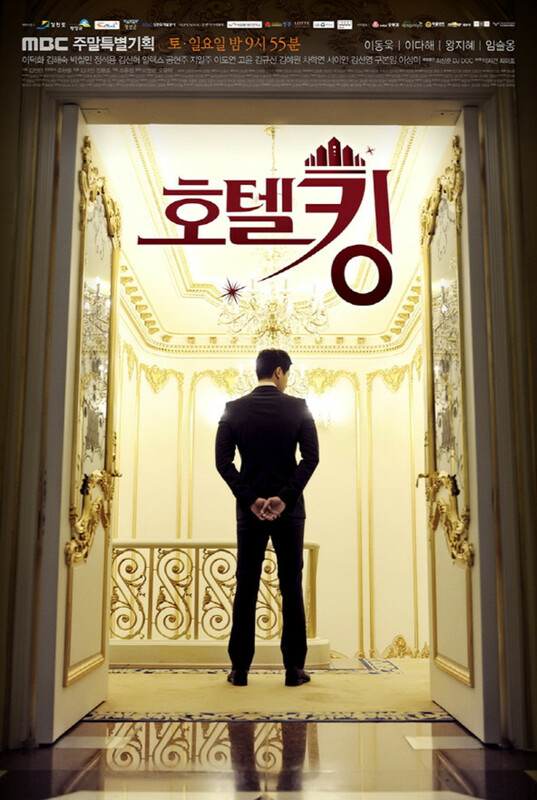 This is a drama about a scandal that occurs in the high society in Cheongdamdong. This drama is about two mothers who have to deal with a very unexpected surprise when their daughters’ identities switch overnight. Jang Bo Ri (Oh Yeon Seo), who grew up with her poor family, becomes rich overnight when she discovers that she’s a daughter of a wealthy family. In contrast, Yun Min Jung (Lee Yoo Ri) suddenly has to adapt herself from living in luxury to living with a poor family. Could We Love? was supposed to air in 2013 but was postponed until 2014. This drama tells the story of three women who are all in their late 30s. Yoon Jung Wan (Eugene Kim) is a woman who divorces after ten years of marriage and lives with her son. Kwon Ji Hyun (Choi Jung Yoon) is a housewife who has a daughter, and Kim Sun Mi (Kim Yoo Mi) is an elegant single woman. Cunning Single Lady is a about a bright and charismatic woman who works hard to get back together with her now wealthy ex-husband. Does she want him back just because he suddenly became rich? Or does she genuinely love him? And does she resort to dirty tricks in order to win her ex-husband back? Park Hoon (Lee Jong Suk) is raised in North Korea to become a doctor by his doctor father, who had defected to South Korea years ago and met his South Korean mother before being captured and returned to North Korea. After Park Hoon becomes an accomplished chest surgeon, he too defects to South Korea and goes to work in the prestigious Dongwoo University Hospital. As he tries to adjust to his strange new life in South Korea, Park Hoon does his best to work alongside Han Jae Joon (Park Hae Jin), a Harvard graduate who first discovers Park Hoon’s talent, while catching the eye of Oh Soo Hyun (Kang So Ra), Jae Joon’s fiancée and the daughter of the hospital chairman. Anesthesiologist Song Jae Hee bears a strong resemblance to Han Seung Hee (both played by Jin Se Yun), Park Hoon’s girlfriend back in the North whom he wants desperately to come join him. Can the genius doctor do what it takes to make a new life for himself and his love in the South? Endless Love is a drama about the Korean political and economic situation from the 1970s through the 1990s, seen from the point of view of a woman. After a traumatic past in which she witnessed her mother’s murder, Seo In Ae (Hwang Jung Eum) grows up to be an ambitious woman with a sharp mind who knows how to win people’s hearts, though she still hopes to avenge her mother someday. Since childhood, her life has been entangled with two brothers from a poor fisherman family that have opposite personalities, Han Kwang Hoon (Ryu Soo Young) and Han Kwang Chul (Jung Kyung Ho). The day before the Korean War breaks out in 1950, a murder occurs in a village. Years later, Eun Hee (Kyung Soo Jin) is shunned by her community because her father was falsely accused of killing a man right before the Korean War. Im Sung Jae (Lee Jun) is saved by the man who actually killed his father, and they become like father and son. Because of this, Sung Jae has to separate from Eun Hee. Cha Young Joo (Choi Yoon So) is the daughter of the real killer. She is arrogant and smart. Since she was younger, she has feelings for Im Sung Jae, but Im Sung Jae has always been in love with Eun Hee. Cha Young Joo’s jealousy drives her to try to break up their relationship. This drama is a remake of the Chilean telenovela ¿Dónde está Elisa? which first appeared in TVN (Televisión Nacional de Chile) on April 21st, 2009. Ko Eun Byul (Ryu Hyo Young) is the granddaughter of a family who runs a large company. She disappears on the day of her engagement ceremony and her mother, Jung Yun (Shim Eun Gyung) tries to find her. While looking for her daughter, Jung Yun discovers the secret of a Chaebol family. This is a drama that takes place in the 1960s about the eldest of five siblings who takes care of his brothers and sisters after they lose their parents. This kdrama illustrates the story of a man who accidentally kills someone and later falls in love with the partner of that person. What makes The Full Sun even more interesting is the fact that the male lead is also a swindler. Yoon Kye Sang stars as Jeong Se Ro and Han Ji Hye from I Summon You, Gold plays Han Young Won. Gap Dong is based on the real Hwa-seong serial killings and is a drama about the criminal investigations into the murders. 20 years ago, the father of Ha Moo Yum (Yoon Sang Hyun) was a suspect in the Gap Dong serial murder case. Because of the detective’s oppressive investigation, Moo Yum’s father killed himself. 20 years later, Moo Yum becomes a detective and works to find the real killer. The statute of limitations has expired for this serial murder case and Moo Yum decides to resign because he believes that the killer is already dead. However, new clues appear . . .
Like Could We Love? and Inspiring Age, The Ghost-Seeing Detective Cheo Yong was supposed to air in 2013 but was delayed until 2014. This kdrama shows the story of a detective who has been able to see ghosts since he was born. He works together with a ghost and fellow detective to solve cases. Hyosung from Secret landed the role as the teenage ghost. Han Song Jung (Kim Mi Sook) is a novel writer and also a single mother who has raised three daughters: Da Ae (Hwang Woo Seul Hye), Da Jung (Park Se Young) and Da In (Go Woo Ri). She struggles to let her three daughters marry good men. Meanwhile, Seo Jae Woo (Lee Sang Woo) is the eldest grandson of the family next door who earns a steady income as a corporate drone. Although he’s inherited his grandfather’s brusque and conservative nature, he also has the kind heart of his father, and is intrinsically a good man. Will he find love with one of the daughters? God's Gift—14 Days is a drama about a mother who is given a chance to travel back into the past to save her child. Min Woo plays the role as a rock group leader. Baro from B1A4 also landed a role as a man with a disability that gives him the mentality of a six-year-old. God's Quiz 4 is a drama about the process of solving the mysterious deaths of elite doctors from the Korean University and unravelling a mystery related to a rare disease. Gold Rainbow is a drama about seven orphans who love each other more than real siblings even though they are not blood-related and go through many hardships together. Gold Tower is a drama that is based in a farming village and has warm, realistic episodes. The Golden Cross tells the story of a man who seeks revenge after losing his family because of being framed in a conspiracy. This is the story of three detectives in their 20s who transform into 70-year-olds overnight and detective who luckily stays young. The drama chronicles their journey to regain their youth. Kim Moon Ho (Yoo Ji Tae) is a popular reporter at a major broadcasting company. One day, he learns the truth of a case from years ago and goes on a mission to help people who were affected by the case. Meanwhile, with the help of Kim Moon Ho, Internet reporter Chae Young Shin (Park Min Young), and Seo Jung Hoo (Ji Chang Wook), known as “Healer,” grow into real reporters. Her Lovely Heels is a drama about a secret relationship at a company. Shin Ji Hoo (Han Seung Yeon) holds painful memories from her first love but now has a secret crush on co-worker Oh Tae Soo (Hong Jong Hyun). Tae Soo does not believe in love, but by some incident Tae Soo becomes interested in her. Lee Min Suk (Seo In Guk) is a high school student who plays ice hockey for his school. One day, he suddenly begins works as a company director because of his resemblance to his older brother. At work, he meets Jung Soo Young (Lee Ha Na) who is a temporary employee there. Does romance ensue? Lee Seul Bi (Kim Sae Ron) is an angel who is sent to Earth to look after Shin Woo Hyun (Nam Woo Hyun), who lives with his grandmother and carries emotional scars from being abandoned by his parents. Despite his cold demeanor, Woo Hyun is popular in school because of his good looks and singing ability. When his best friend, Hwang Sung Yeol (Lee Sung Yeol), finds out a secret that ties them together and also develops feelings for Seul Bi, who is posing as a fellow student at their school, the best friends turn into rivals. Can Seul Bi survive first love and other the perils of life as a teenager and properly do her job to protect Woo Hyun? This drama is about a woman who is stripped of everything she has when she's accused of killing her mother. The third season of I Need Romance centers around the story of employees at a home shopping company. Shin Joo Yun (Kim So Yun) works at a home shopping network. She used to have a warm and kind personality, but she's become cold after nine years of harsh working experience. After a failed romantic relationship, she tells people that she does not believe in love. Deep down inside though, she can’t give up on real love. This is a story about love, loyalty, and sacrifice among people who make success for themselves, overcoming despair and poverty after the colonial era and the Korean War. The story is based on the life of Park Tae Joon (Choi Soo Jong), the founder and honorary chairman of Pohang Iron and Steel Company. 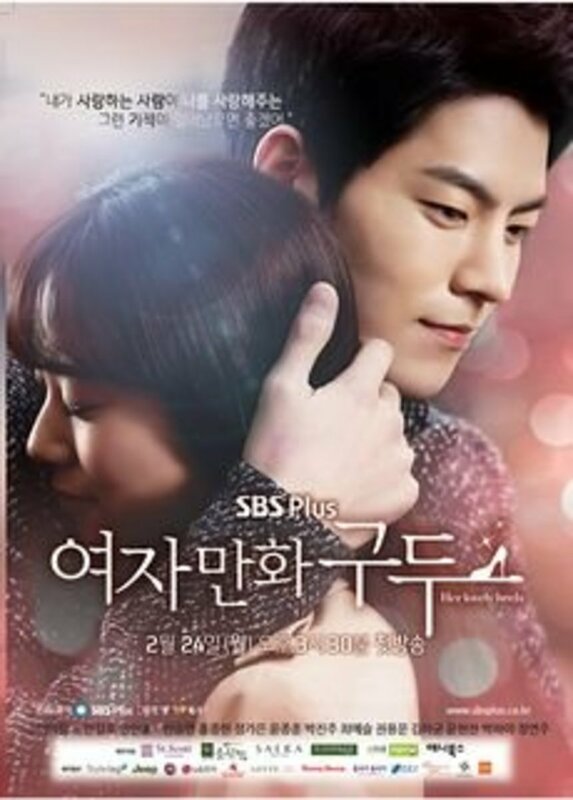 Joo Hong Bin (Lee Dong Wook) is a heartless and fearless man who is also smart and wealthy. He suddenly develops the ability to sprout iron from his body due to his hard heart. For the first time, he faces hardship as he's forced to face the pain he carries in his heart. Meanwhile, Son Se Dong (Shin Se Kyung) is a meddlesome woman who loves Joo Hong Bin and takes it upon herself to turn him into a real man. Jeong Do Jeon illustrates the story of the man who established the Joseon Dynasty during the Goryeo period and stars Jo Jae Hyeon as Jeong Do Jeon. Taking place in the 19th century, The Joseon Shooter is a drama about the son of Joseon's best sword fighter who opts for a gun to avenge his father and sister. Set during the time of King Moo Ryung of Baekjae, this is a historical drama about Princess Soo Baek Hyang (Seo Hyun Jin), who is in love with Crown Prince Myung Nong (Jo Hyun Jae). Hang Jung Im (Park Sun Young) lives an ordinary life as a wife and mother. However, this changes when her friend has an affair with her husband and she loses her daughter. This drama is about the four female inmates in Room 10 of the Chungjoo Women’s Prison who are charged with murder, fraud, stock manipulation, and attempted murder. After being released, they join to open a bakery shop which eventually competes against a large bakery company run by a conglomerate. Lee Soo Kyung (Lee Soo Kyung) is a 33-year-old single woman. She divorced when she was in her 20s and now lives alone. She always wants to carry herself with dignity, but loses self-control when she is near gourmet foods. Meanwhile, Goo Dae Young (Yoon Doo Joon) is a foodie with a special talent for describing foods and for lying. How will their lives change each other? This drama is based on the manga series Liar Game by Shinobu Kaitani which was first published in 2005 in the Japanese magazine Weekly Young Jump. In this drama, various contestants take part in a game show with a prize of 10 billion. In the show, contestants are encouraged to cheat and lie. If they lose the game, however, they go into debt. Contestants include genius swindler Cha Woo Jin (Lee Sang Yoon) and naïve college student Nam Da Jung (Kim So Eun). Meanwhile, Kang Do Young (Shin Sung Rok) is the MC and brains behind the game show. Chun Sung Woon (Kim Heung Soo) is the cold-blooded director of a large fashion company. Everything changes when he meets single mother Han Ah Reum (Shin So Yool) and falls in love with her. Due to Han Ah Reum and her daughter, Chun Sung Woon is forced to change. This is a drama about the lowest class of servants during the Joseon era. In Yub (Jung Yoo Mi) is a beautiful noblewoman who becomes a servant overnight when her father is framed and labeled a traitor. She ends up falling in love with a fellow servant, Moo Myung (Oh Ji Ho) who is the most attractive servant and skilled warrior in Hanyang. He is also a mysterious man whose real identity is hidden. Meanwhile, Eun Gi (Kim Dong Wook) is a man who has everything from intelligence to looks. He is the chosen groom for In Yeob and becomes rivals with Moo Myung. This drama is about the entangled lives of four women, a stepmother and daughter who run a small diner and another stepmother and daughter of a nation-wide food service company, CE Group. These four women’s lives start to be entangled with a suspicious hit-and-run of a man who then is blamed for embezzlement. Without any money or connections, the man’s widow goes on a crusade to prove her husband’s innocence. A successful painter, Han Seung Hee (Song Yoon Ah) raises her son alone for years. One day, she finds out that she has a terminal disease. Hoping to have her son adopted into a nice family, she seeks out her former boyfriend’s family and in the process, becomes his wife’s best friend. Gong Ki Tae (Yun Woo Jin) is a successful and happy bachelor who does not want to get married. However, his family badgers him to marry. To get them to give up on their efforts, he comes up with a plan to introduce them to Joo Jang Mi (Han Groo), whom he thinks they will never approve of. Or will they? Gong Deul Im (Kim Da Som) is a tenacious, outgoing, and optimistic aspiring musical actress with an undying passion to pursue her dreams against her parents’ wishes. She has a romantic relationship with lawyer Park Hyun Woo (Baek Sung Hyun). Meanwhile, Han Tae Kyung (Kim Hyung Jun) is the leader of a drama troupe and musical director. He is a perfectionist but a gentle man outside of work. He works closely with Deul Im and is best friends with Hyun Woo and Deul Im’s older sister, Gong Soo Im (Hwang Sun Hee), who he develops feelings for. Min Woo (Shim Chang Min) is a 28-year-old webcomic writer. One day, he finds a memo on his desk calendar. With the memo, he begins to write a new webcomic titled “December 8." The comic turns into an instant hit. As the webcomic becomes even more popular, he feels pressure from work and begins to suffer from severe headaches because of the pressure, finally deciding to seek out his first love from high school. Jang Geu Rae (Siwan) has played the board game “baduk” (a strategy game somewhat like chess) since he was a child. Playing the game was everything to him, but he failed to become a professional baduk player. Now he is thrown out into the real world. Through a reference, he finds an internship at “One International” but he struggles to adapt to working at a company. Meanwhile, Ahn Young Yi (Kang So Ra) is a competent and intelligent new intern and Jang Baek Ki (Kang Ha Neul) is another co-worker. This drama takes place in the year 1997 and is about a failing cosmetics company that tries to turn a former high school beauty queen into Miss Korea. Oh Ji Young (Lee Yeon Hee) is the former high school beauty queen who has grown up to be nothing more than an elevator girl. Meanwhile, Kim Hyung Joon (Lee Sun Gyun) is an employee of the cosmetics company and will lead the efforts to turn Oh Ji Young into Miss Korea to save his company. This is a comedy drama about a rock band named “Excellent Souls” that returns to farming after doing experimental music. The band members consist of Lee Min Ki (Lee Hong Ki), Kang Hyuk (Park Min Woo), Yoo Han Chul (Lee Shi Un) and Han Ki Joon (Kwak Dong Yun). Mother's Garden is a drama that revolves around the importance of family bonding, warm affection, and love. Seo Yoon Joo (Jung Yoo Mi) is the daughter of a family that runs a large company. She works as a veterinarian, mostly with horses. She has a bright and honest personality and is in love with Cha Ki Joon (Choi Tae Joon) who comes from a wealthy family. Choi Go Bong (Shin Ha Kyun) is a hotel owner in his 70s, who is oblivious to everything except himself and money. All of a sudden, he turns into a young man in his 30s and feels love for the first time in his life. Meanwhile, Eun Ha Soo (Jang Nara) is a hardworking woman who goes from part-time job to part-time job with no prospects. She finally lands her first salaried job and meets Choi Go Bong. Through him, she learns to dream for the first time in her life. Choi Yang Soon (Choi Yoon Young) aspired to write a novel, but her father’s death led to her giving up her dream and now she works as a reporter for a magazine. One day, she brings home a stray cat on a whim and takes care it even though she is allergic. Soon after, a man, Yum Chi Woong (Hyun Woo), appears and insists the cat has an owner who has been looking for the cat all along. Nam Sang Hyo (Yoo In Na) is the manager for the wedding department of a hotel. She is a perfectionist with a bright personality. She meets her ex-husband Goo Hae Young (Jin Yi Han) as a client at the hotel. Sang Hyo and Hae Young were in love and got married seven years ago, but they divorced less than 100 days later. A murder case in the hotel throws the characters into unexpected situations. A cold and successful lawyer suffers from amnesia after a tragic accident. This drama portrays his search to find himself. Based in the Joseon Times, this drama is about the crime prevention squad that used to patrol the streets from 9 pm to 5 am to catch ghosts. Noble Woman portrays the perspectives of two different people, one who was raised by a widow in poor conditions and the other who is the daughter of a wealthy family. The teasers for this drama look interesting. Jang Ha Na (Park Han Byul) is the fourth daughter of the eldest son of a family that’s been making soy sauce for hundreds of years. The family needs a male representative for their soy sauce business but after giving birth to four daughters, they gave up for trying for a male heir and the fourth daughter has to pretend like she is a son. 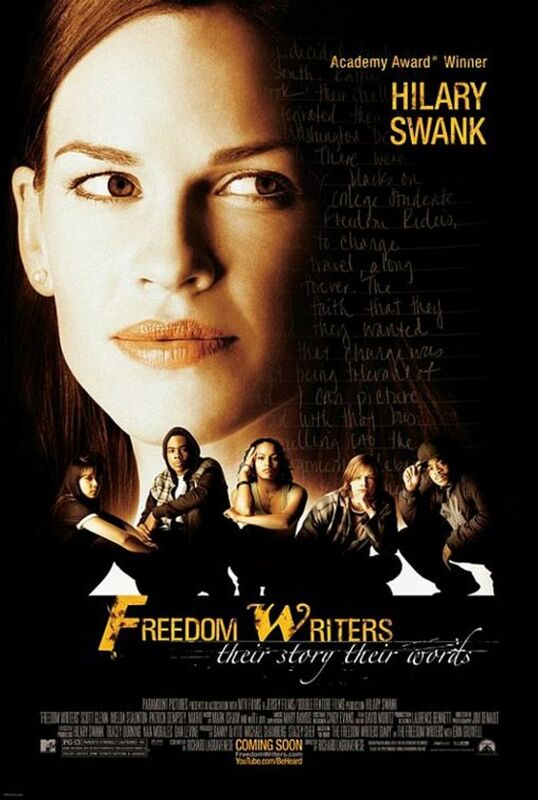 This is a refreshing romance story of six young men and women and their lives. They are all from different backgrounds but come together in a woven series of stories. 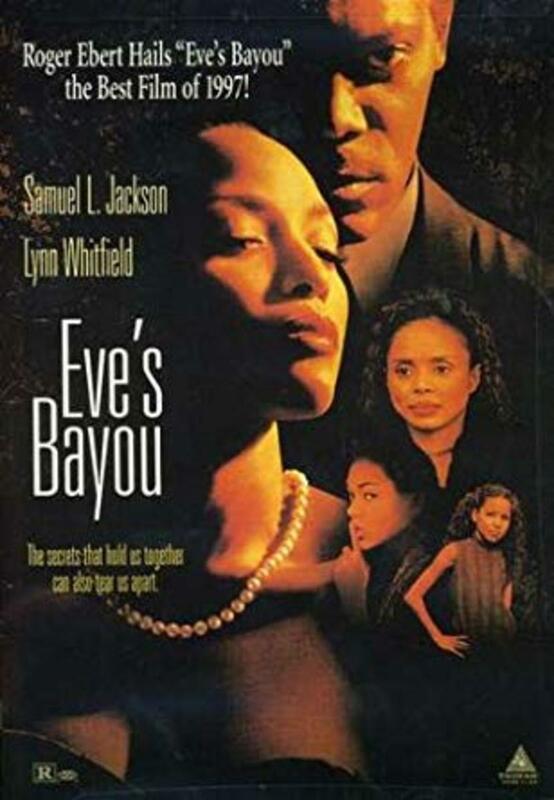 This drama follows the tragic love and success story of a man and woman who get tangled up in tragic destinies due to conflicts in their parents’ generation, depicting how one generation’s problems can negatively affect the next generation. This is a romantic comedy series about four boys at the ages of 9, 19, 29 and 39 who each confront different challenges in love and work at the cusp of a new decade in their lives. Pluto Secret Society centers around four children detectives who solve mysteries in their village. What if Earth was hit with a planet half the size of the moon? How would your everyday activities, troubles, and love change? This sitcom takes a look at the comedic lives of a family put into an emergency situation created by the crashing of two planets. Pride and Prejudice is a legal drama about a team of young and passionate prosecutors who banded together to fight against the injustice and oppression that befall weak and poor people. Besides facing many hardships from higher authority, they also learn work together as a team despite their different personalities and backgrounds. Prime minister Kwon Yul (Lee Bum Soo), father of three, is 100% workaholic and 0% family man. A young female reporter, Nam Da Jung (Im Yoon Ah) fakes her identity and enters the Prime Minister’s household as a tutor to gather news about him and becomes a mother figure in this warmhearted love story. The drama is about senior prosecutors in the supreme court. A chief investigative prosecutor finds out he has six months left to live while another prosecutor general is neck-deep in corruption. Prosecutor Cha Woo Jin (Chun Jung Myung) lost his first love, Kim Seung Hee (Kim So Hyun) 15 years ago. He meets a woman, Jo Eun Bi (Kim So Hyun), who looks like his first love. Their meeting unleashes secrets and and a chain of events between Cha Woo Jin, Seung Hee, Jo Eun Bi, and a criminal. This is a drama about the stress experienced in the workplace and the bias against overweight, unmarried women. This drama takes place during King Yeongjo’s (Han Suk Kyu) reign. Despite Yeongjo’s effort to change Sado, he had no choice but to order the death of Sado due to his mental instability, excessive violence, and sexual assaults. This drama will tell the discovery of the truth behind the mystery surrounding Sado’s death. Starring Yoo Ah In and Kim Hee Ae, Secret Love Affair will obviously be about a secret relationship but what makes it unique is the woman is 20 years older than him! I'm excited for the age gap with the man being the younger one because of the societal double standard. It's more frowned upon for the woman to be older when it shouldn't be that way. Adding more of a romantic flair to the plot is the fact that Yoo Ah In has the role of a genius pianist. Who doesn't like musicians? Hyun Wook (Bi) is the CEO of a talent agency that scouts and trains idols. He is a brilliant songwriter-producer who appears cold and indifferent on the outside but is actually sensitive and kind-hearted and is unable to get over his ex-girlfriend who died in an accident he witnessed first-hand. His ex-girlfriend’s sister, Yoon Se Na (Krystal Jung), moves to Seoul in order to pursue her songwriting career and meets Hyun Wook who helps her achieve it. They fall in love as both their hearts are healed through music. Shining Romance is a drama about a family in which the family members are not all blood-related. 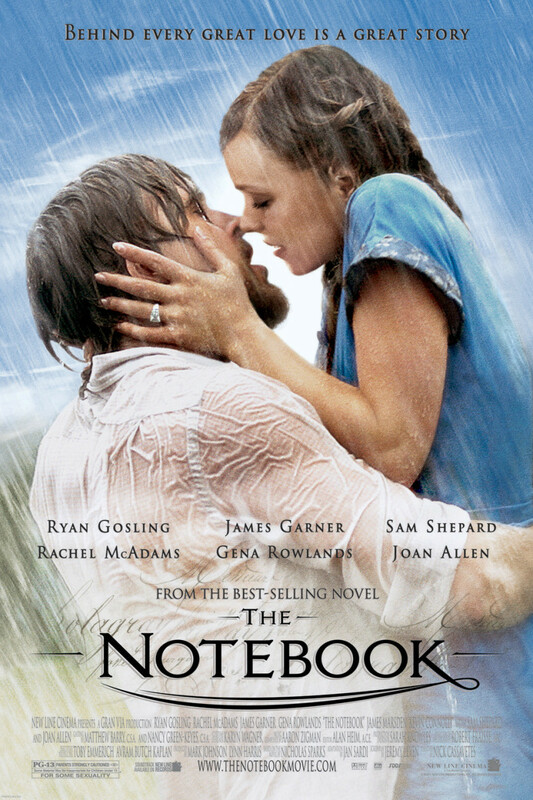 This is a melodrama about a woman who receives a heart transplant and a man who loves his late wife very much. After her transplant, Lee Bom Yi (Choi Soo Young) decides to live her life to the fullest as a token of gratitude for the donor. She accidentally meets Kang Dong Ha (Kam Woo Sung), a single father with two children, unaware that he was the husband of her donor. Kang Dong Ha is baffled that Lee Bom Yi seems to be very similar to his late wife. Yoon Cha Young (Hong Ah Reum) is a daughter who once believed that a mother’s love was like heaven. She then learns that she was abandoned by her own mother, Yoo Sun Kyung (Park Ji Young) twice out of her own greed. The two of them have no choice but to violently point swords at each other. Temptation is a drama about a married man, Cha Suk Hoon (Kwon Sang Woo) who receives a huge sum of money from a woman, Yoo Se Young (Choi Ji Woo) to repay the debt he owes. Complications arise when the woman demands total submission from him, jeopardizing his relationship with his wife. This drama is about the deeds of the Joseon-era heroes—Heo Seung Po (Yang Dong Geun), Ahn Min Seo (Jung Hae In), and Park Dal Hyang (Jung Yong Hwa) who is a young man still preparing for his military examinations. They end up becoming the royal warrior guards for Crown Prince So Hyun (Lee Jin Wook). Can the trio protect the Crown Prince from those who wish to kill him? Triangle is a drama about three brothers who unite for the first time 20 years after the death of their parents. Jang Joon Hyun (Ji Hyun Woo) is a genius songwriter who meets Choi Choon Hee (Jung Eun Ji) who is crazy about trot music and supports her family by herself. He helps her achieve her dream to be a successful trot singer and a romantic relationship begins between them. Gold Land is a drama about Jung Soon Geum (Kang Ye Sol) who succeeds in building a ginseng business around the Limjin River in the 1950s through the 1970s. 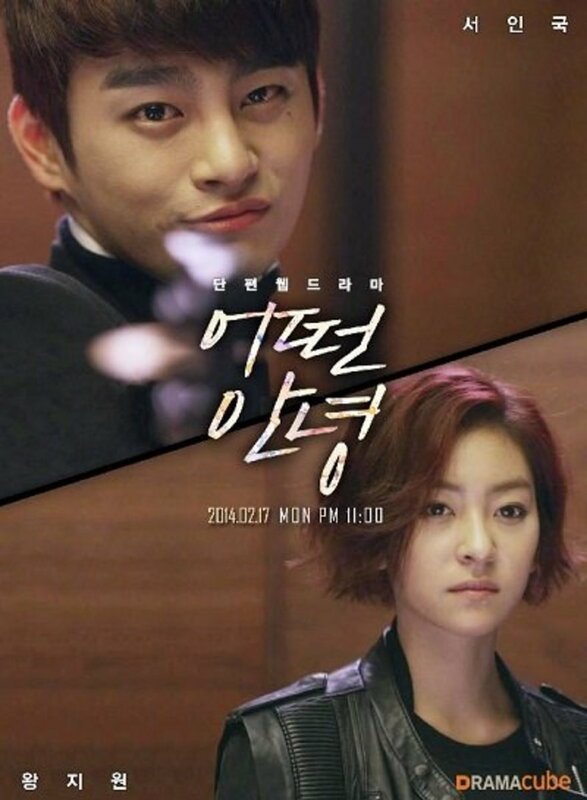 One of my favorite dramas this year was Twenty Years Old because it starred my favorite idol Gikwang from Beast, had a real kiss, and was very enjoyable to watch. Twenty Years Old is the dream of many fangirls: to be the first true love of a hot idol. The only negative about this kdrama is it isn't long enough. A woman struggles to get back her room, man, and family from a woman who she believed was a friend. Penned by the Midas Touch writers, who are behind the hits Tree with Deep Roots and Queen Seon Deok, Unprecedented takes place during the early Joseon Dynasty and centers around the lives of the people behind the dynasty's foundation. The hero of the story is Jung Do Jeon, who is responsible for establishing Korea's political infrastructure from education to laws to taxes. The antagonist is Lee Bang Won, who believed in absolute monarchy, although he did support a centralized bureaucracy and a political system governed by ministers. The female lead from Very Good Times was Kim Hee Sun with Mina from AOA acting as her younger self. Taecyeon from 2PM also took on a role in Very Good Times in which he acts as a tough character who doesn't tolerate injustice. This is a family drama about a father suing his children for being undutiful to their parents. What Kind of Goodbye portrays the story of two people who meet at the end of their lives. I'm not that interested in the plot but I love Seo In Gook so I may end up watching this kdrama. Wild Chives and Soybean Soup: 12 Years Reunion is about a high school couple who have a baby together unintentionally. They break up but reunite 12 years later. I would watch this drama if it focused on the time period of the teenage couple raising their baby. I'm not that interested in the 12-year reunion aspect so I'm not sure whether or not I'll give this drama a chance. Wonderful Day in October is a Lunar New Year special drama about an old couple checking activities off the wife's bucket list. Yoo Na's Street is a drama about the pickpockets and other criminals living in multifamily housing whose lives are changed by a really nice guy moving in. This drama showcases the lives of people who decide to live together under one roof in order to save money. Lee Seung Gi (The King 2 Hearts and Gu Family Book) plays the male lead role in this drama. When I first heard of this series, I was excited because I like cop dramas. Add to that the fact that one of my favorite actors was going to star, and I got doubly excited! Seung Gi a cop? What's not to love? The director of You're All Surrounded is the man who directed Incarnation of Money! So basically, this kdrama has three REALLY good things going for it. After being involved in a heinous crime committed by a son and mother blinded by desire, the daughter of a poor widow in You're Only Mine struggles to start a new life. While writing this article, I found this funny video about what the creator of this video would want the top five Korean dramas of 2014 to be about with lead roles and title included. She actually has some good ideas and pairings, so hopefully we'll be lucky enough to see something similar soon. If you know of a 2014 kdrama that I don't have listed, please let me know in the comments. You can also share what dramas you recommend for others. No spoilers please! Which 2014 Korean Drama Do You Want to Watch? I am looking for a Korean Drama (I believe) that I only know bits and pieces too plus I am really unsure of the major details... It was a music video of the whole series being broken down quickly... or the movie. I HAVE NO CLUE and it i killing me. Girl that is not well off bumps into a man with her bike I believe. He is well off and doesn't really care so sends her on her way. She is cute in baggy clothes looking frumpy. The man she has run into is married to a gorgeous diva that knows she is rich and beautiful. They live in a big house, servants... Everything. She is cheating on the husband with a guy and keeping it from her husband. I believe he is suspicious, but dunno. There is a business dinner or function type thing where they are all fancy in his office. She sneaks off to have a hookup with her mistress dude and the husband realizes she is gone so he goes looking for her. He bangs on a door that she had locked and the guy she is cheating with hides so the husband is none the wiser. Then the husband is comes to a hotel when he catch the wife being kissed on by her mistress. He walks to his car, gets in and speeds off. The wife not wanting to lose her husband because of the lifestyle gets into her car and chases after him. Scene where he is driving fast down a road where the frumpy girl goes to cross and manages to step back to avoid him hitting her. She yells at him as he passes on a relative dark road. She goes to cross again and the wife who is chasing hasn't got her headlights on and complains about how dark it is sees the girl at last minute and swerves to avoid her getting into an accident. The frumpy girl falls hitting her head. They are both bleeding on the road. THIS IS WHERE IT IS REALLY CONFUSING!!! Hospital scene where the wife or frumpy girl is bandaged all over her face. The husband guy comes in and says crap to her. I believe it is plastic surgery to fix the face. ANYONE PLEASE!! I HAVE NO CLUE BUT I KNOW IT SAID GLASS HOUSES OR SOMETHIN LIKE THAT!! Do you know the Korean drama with a young serial killer who has a crush on a girl and always act cutely around her? I assume it came out in 2013-2014.